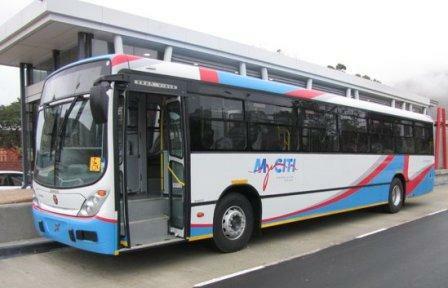 If you are arriving at Cape Town International Airport, the MyCiti bus service is a convenient and reliable method of transport. 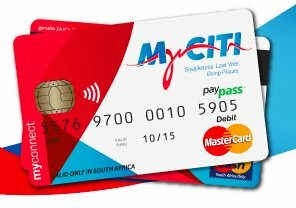 Head straight for the MyCiTi station outside the main terminal building and get your myconnect card there. The buses leave every 20 minutes, and will take you to the Civic Centre station in the City Bowl. 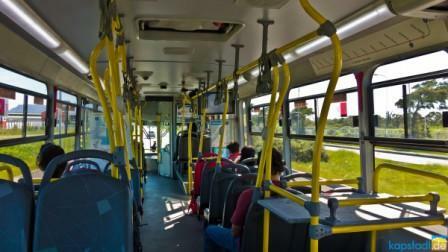 From there, you can transfer seamlessly to another MyCiTi route or get a metered taxi or an Uber to your destination. 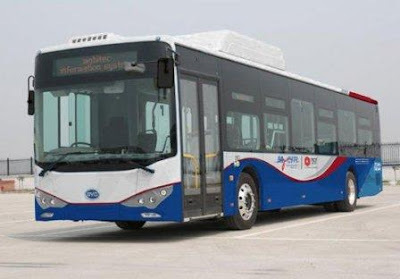 From the doorstep of the main terminal building at Cape Town International Airport to the long-distance bus terminal in the city centre, there’s an easy connection to the MyCiTi network. 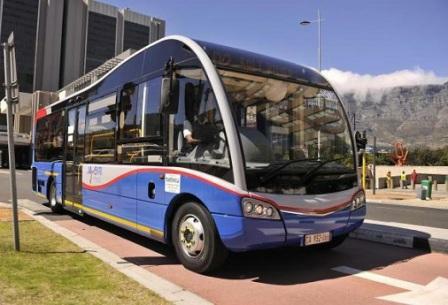 It’s the daily commuting choice for thousands of Capetonians and the preferred option for the many visitors to the city, having set a new standard for public transport. 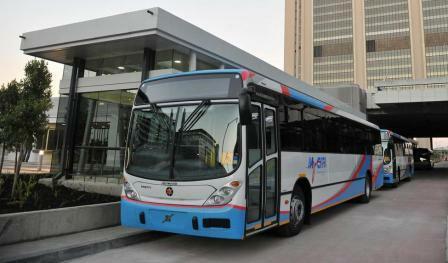 The network of distinctive MyCiTi stations and bus stops covers the western half of the city, from the central city area along the coast to the picturesque Hout Bay area and north along the beaches of Blouberg to Melkbosstrand. There are links inland to the Airport, and the densely populated areas of Khayelitsha and Mitchells Plain too. The service operates from early morning to the evening. 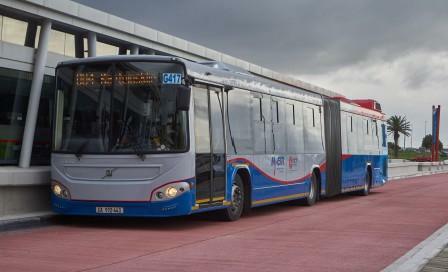 You can find the routes and up-to-date fare information on the MyCiTi website. 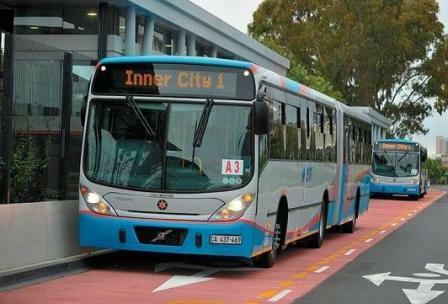 The buses are bike-friendly too, so you can rent a bike and get around cape town by bicycle. Passengers can check their email, browse social media and access other online content, free of charge, on selected buses as part of a pilot project. To access your free 50MB daily allocation on buses with a "WiFi available here" sign, follow the steps below. *Please note that if your connection switches between WiFi and mobile data, please turn off mobile data on your device while you are using the WiFi. Routes for this bus system run across the peninsula. Popular routes such as the Airport to City Centre route are used by many people, while within there are also routes that connect to various other parts of the city too. With many new routes added, this ensures that people from all over can find a station in close distance – wherever they happen to be. or dial *120*1040# from any mobile phone.